Designed by Libby Lehman. 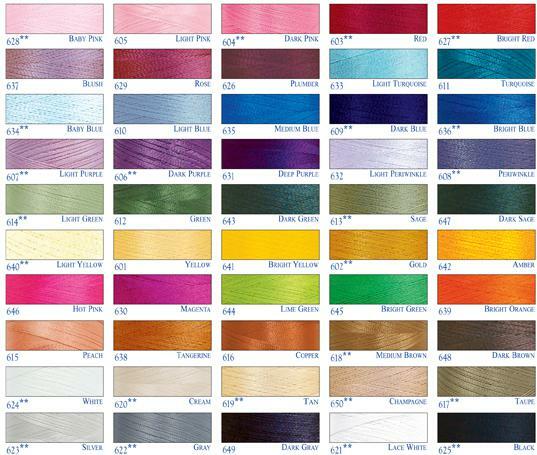 The Bottom Line is an innovative bobbin thread for sewing with all types of top thread including metallics and designer threads. Its silklike finish allows it to slide, not grab, to form the perfect stitch. It is also ideal for both machine and hand applique. Lintfree, ultrasmooth surface prevents snagging and knotting. 60 wt. polyester. 3000yard cones, purchase by the cone.